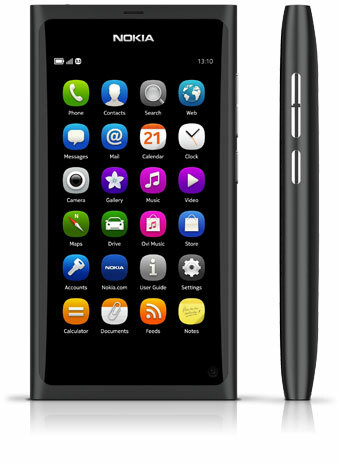 While stumbling onto the Nokia N8 together with the C7 today (okay this post is almost 2 weeks late due to the fact that I’ve helped my wife relocate to Australia) at Incomm HQ, it got me thinking about the future of phones and computers and got me all that more interested in the Nokia N8. The N8 is B$768 and the C7 is B$638. If you order online through the Incomm website the N8 is just B$730 (thanks GeekInWhite). My interest in the N8 is not just because it is Nokia’s flagship model at the moment, but just the functionality it brings and the possibilities of having a computer in your pocket. 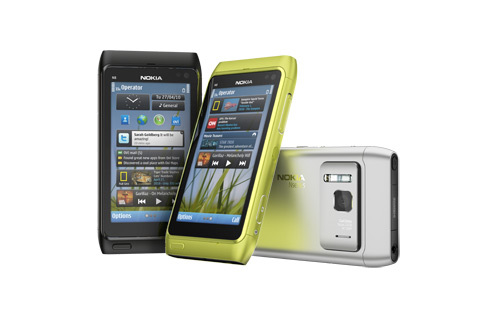 First and foremost the Nokia N8 is a multi-touch capable smartphone with a 12 megapixel camera and Xenon flash. The N8 itself has stand out features that are not really found on any other phone. The camera, which is a focus on many reviews, has proper colour representation (vs the iPhone 4 that does post processing on photos to make them look more colourful) and while also taking relatively good low light shots (thanks to the large image sensor which is even bigger than some digital cameras). Some photo comparisons: DeviceMagazine, Symbian World, Into Mobile, It also shoots 720p video at 25 fps and has a built in video editor and image editor for photos too. The device is capable to play back 720p content with Dolby Digital Plus Surround Sound via the HDMI out making it a multi-media centre device.There was even mass movie screening of the Prince of Persia on the N8 itself. When connected to an HDMI output the display will be mirrored on both the screen of the N8 as well as the output device (e.g. an HD display). This has possibilities to showcase gaming on the N8 by letting spectators watch exactly what the player sees. However for a regular user, this means it can be connected to a bigger screen and even act as a desktop computer (more on this later). The N8 also has USB host with USB on-the-go support. This means that you can connect a regular USB drive to it (with the necessary connector cable: micro USB on the N8 to a full USB connector) and transfer files to and from it. What’s more is that you can even attach a keyboard and mouse to the device to make it a productivity device. Most video’s I’ve seen, show mouse and keyboard connected via Bluetooth so I am not sure if you can attach a USB hub and connect all keyboard, mouse and USB drive to the device all at once. However once keyboard and mouse via Bluetooth you will have a setup similar to a real computer as shown in the video below, with a (micro) USB port to be connected to a USB drive to transfer data. Now the scenario of using the N8 as a full productivity device will also depend on software support: meaning to say that it needs to have applications to allow users to use this is a productivity tool. Software that will let users create and edit documents on the go would be great. According to the specifications the N8 has the feature of “Editing of key office documents” making this possible and what’s more is that with the HDMI output, you can even do presentations powered from your phone (caveat: seems that you need to pay for a ‘pro’ version to edit documents). Productivity is also enabled via the real multi-tasking abilities of the N8 (as opposed to ‘faux’ multi-tasking of the iPhone). Applications run in the background enabling switching from a browser (to search for something) and jumping straight back into your document / tweet that you were composing. Note that the N8 also uses readily available standards: from micro USB (for data transfer and even charging), to micro HDMI, to a 3.5mm standard jack, a regular micro SD card and a normal sized SIM card. Using these readily available standards, makes it even more interoperatible with your existing devices / cables (as opposed to proprietary connectors like the iPod or even Galaxy Tab). There are also a couple of technologies that could be built into the phone that I have not heard been mentioned like printing and Bluetooth transfer file transfer/file system browsing support. 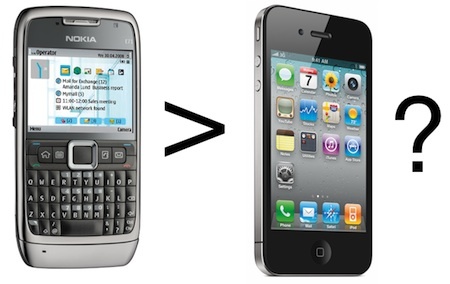 However I will base this on existing Nokia S60 devices such as the Nokia E71 that I originally typed this post on. 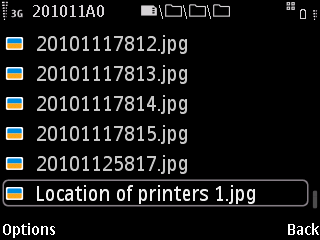 The Nokia E71 has abilities to print direct to printers (via Bluetooth / infrared) and allows browsing the filesystem from a host device such as a PC or Mac. What I love about Bluetooth file transfer and filesystem browsing is that you can quickly and easily copy data from the phone wirelessly. Also with HP technology that is getting into printing from the web (i.e. 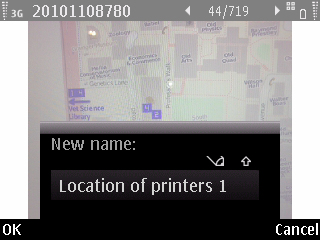 Emailing documents from the phone to the printer to print), it will make things all so much the easier. I know the device isn’t perfect: for instance in portrait mode you can only type in as a virtual numeric keypad and no QWERTY keyboard. Swype may change that. Also when typing in text, the entire screen is taken up by the text box where you type meaning that if you forget what you’re doing you will have to close or confirm the text input before seeing what you were filling in and going back into the text input screen. I think it was Daniel at Tech65 that mentioned that it seems like a separate application in the way it works and does seem a bit cumbersome especially having to press cancel/back or confirm before continuing. There is no touch to focus on the device though is something a firmware update could fix but that being said it still at this moment in time does not have it. Also the video recording has no auto-focus and only records at 25 fps. A hack has been demonstrated to enable both but yet again it is not available to all N8 users. S^3 is also an newly released OS meaning that there are not a lot of applications currently running on it. If application developers do not support it, then users will be at a huge loss compared to iOS or Android users. S^3 can also be considered a convoluted/complicated OS. S60 users would be more accustomed to it but users who like simplicity make be taken a back. However I think the biggest problem with the N8 is the web browser (TechRadar, Engadget, All About Symbian). I think all Nokia S60 phone users will know that the standard web browser isn’t fantastic and while the browser on S^3 is an improvement, from reviews I’ve read, the browsers still has quite a bit to go to catch up to Safari on iOS and Android browsers. It does play Flash Lite 4.0 which is a nice touch but nothing to write home about. The N8 software needs real tweaking to make things more usable for the user and for it to make the product really great. But all in all the prospect of the functionality of the N8 makes things one step closer to having a computer in your pocket. Oh yeah it is also a phone with mobile broadband capabilities. What else more do you need from a computer? 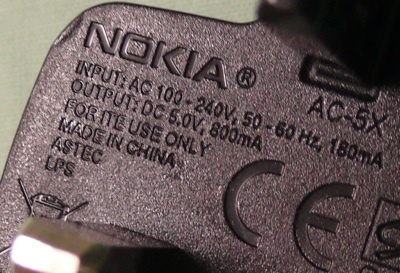 This is what I hate about Nokia’s current 2.5mm charger. I charge my phone, my phone drops with the charger attached and I get a bent charger tip. The charger will still typically work until it’s been battered into submission and gets broken as shown below. 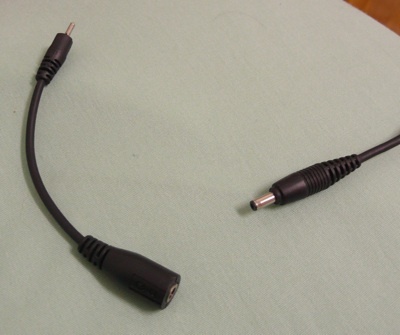 This is my second Nokia charger tip to bite the dust. 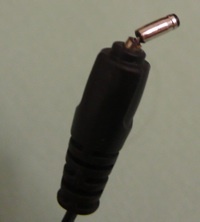 Instead of buying a new charger I just bought a cheap B$3 adapter from BIT Computer that converts an older 3.5mm Nokia charger to the new 2.5mm tip. Works perfect and if it gets broken it’s just a $3 change. Saves money and recycles an old charger. Win for me, win for the Earth. You can buy this adapter from Deal Extreme.